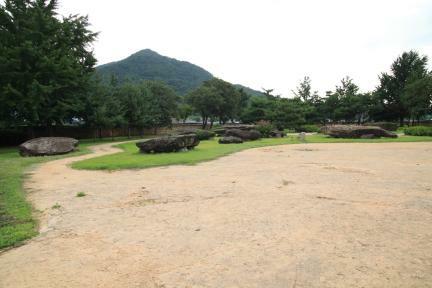 지석묘란 청동기시대 사람들의 무덤으로서 고인돌이라고도 하며, 책상처럼 세운 탁자식(북방식)과 큰 돌을 조그만 받침돌로 고인 바둑판식(남방식)이 있다. 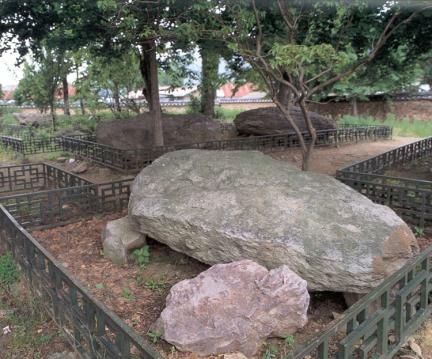 구암리에는 지석묘가 총 13기가 있었으나 현재는 10기만 남아있다. 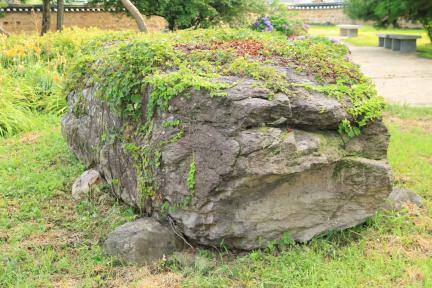 대체로 자연암석을 떼어내 덮개돌로 사용한 바둑판식 지석묘로, 덮개돌이 큰 것은 길이가 6.35m, 너비 4.5m, 높이 70∼100㎝에 받침돌 8개를 돌려 세웠다. 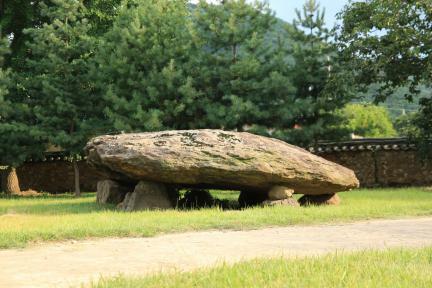 보통 4개의 받침돌을 이용하는데 반해 8개의 받침돌을 돌려 다른 지역 고인돌에서는 볼 수 없는 독특한 형태를 하고 있다. 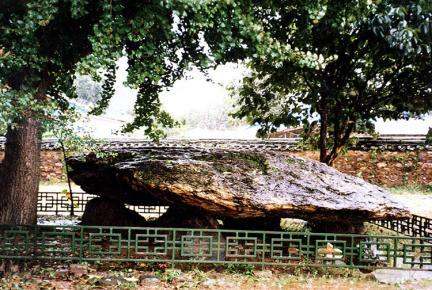 Dolmen is called Goindol in Korean. 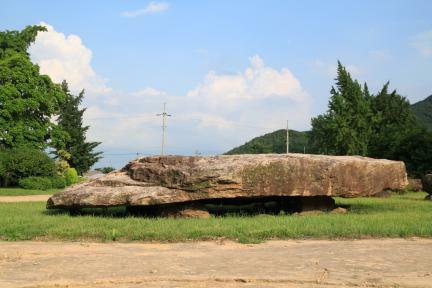 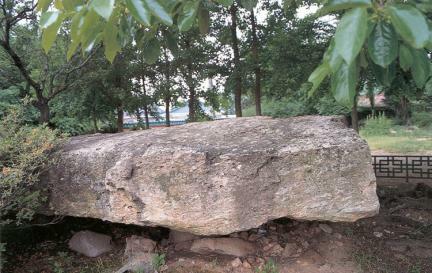 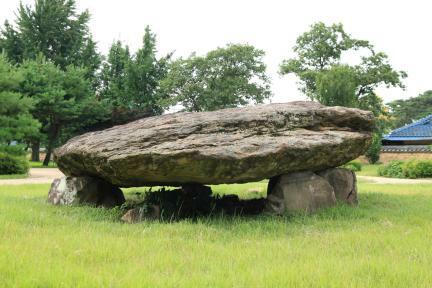 There are two kinds of dolmen -- the northern style is erected on earth like a table, and the southern style supports a large stone with a small prop stone. 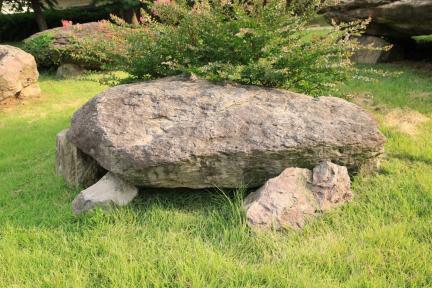 The dolmens of Guam-ri originally numbered 13, but only 10 remain at present. 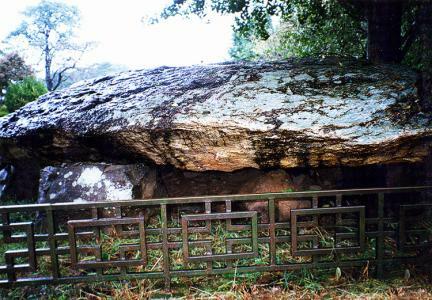 Generally, the dolmens are of the southern style and whose covering stone was made to tear off a natural rock. 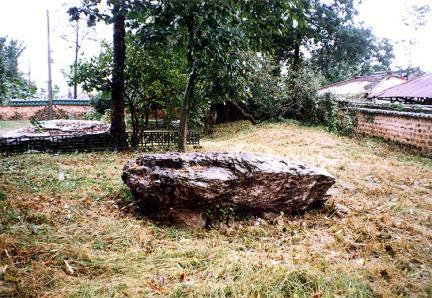 A large covering stone is 6.35m long, 4.5m wide, and 0.7-1m high, supported with 8 prop stones, while four prop stones are usually used.